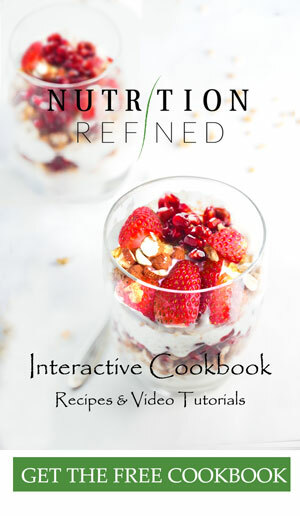 Do you ever wish you knew more about nutrition? Do you get confused by all the claims about healthy eating out there? You are not alone. I mean, I get confused sometimes as well because sometimes the claims just make no sense! The truth is that even with the million and one different dietary philosophies that exist, there are only a few principles of healthy eating I consider important. These principles might seem a bit rigid or extreme at first, but once you integrate them into your daily life, it will be difficult to go back to the way you ate previously. Your body will begin to feel vibrant and energized, and you’ll get addicted to that feeling. Don’t expect too much from yourself too soon though. It takes time for any action to become a habit. There’s a wise saying in Indian philosophy that states, “infinite flexibility is the key to immortality.” So, when making any changes to your diet or lifestyle, remember that deviating from time to time is okay and may even be healthy. Here are the 7 principles of healthy eating I try to live by. 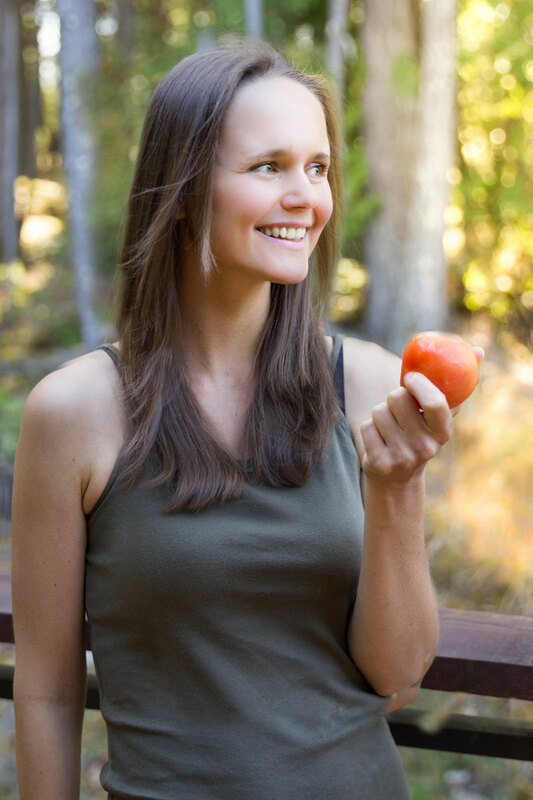 Your body possesses the natural intelligence to process the foods that are closest to nature. The more in tune your life is with nature, the healthier you’re likely to be. You can think of food as being on a continuum of some sort of processing. Take an apple, for example. On the left you have a whole apple, and on the right you have processed apple sauce. There are a lot of foods that fall on the continuum. The closer to the whole apple, the better. The majority of what you eat should be on the left side of the spectrum and only consist of one ingredient. What’s in an apple? An apple. What’s in a broccoli? A broccoli. Sure, some foods need to be chopped, blended, or cooked to ease digestion or release nutrients, but it’s best if you do it yourself and leave less of it to manufacturers. Whole foods contain the most vitamins, minerals, phytonutrients, and other important compounds that are functionally important for every cell in your body. As soon as food is altered (processed) in any way, it starts to lose nutrients. The more processed, the less nutrients it has. That doesn’t mean you should only eat raw food. But it does mean that you should focus on raw or simply cooked whole foods. An important component of any healthy diet is to maximize the amount of nutrients and minimize the amount toxins entering your body. The term “organic” refers to the way agricultural produce is grown and processed. While the regulations vary from country to country, generally, organic produce must be grown without the use of synthetic fertilizers, synthetic pesticides, synthetic herbicides, genetic modifications, and ionizing radiation. Animals on organic farms eat organically grown feed, aren’t confined 100% of the time, and are raised without antibiotics or synthetic growth hormones. 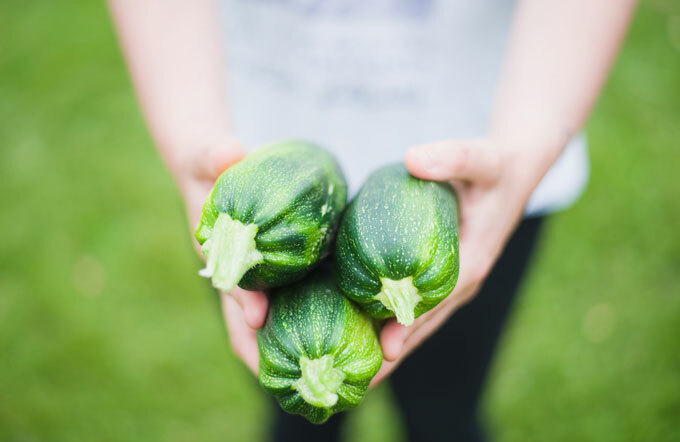 While most research can’t prove that organic food is more nutritious, a large meta analysis published in the British Journal of Nutrition in 2014 found that organic crops have substantially higher concentrations of a range of phytonutrients. For instance, organic crops had about 50 percent more anthocyanins and flavonols compared with conventional crops. If you can’t afford to go 100% organic (I certainly can’t), try to spend the extra money on what the EWG calls the “dirty dozen“. When it’s not possible to buy organic produce, the next best option is conventionally grown local produce. Many farmers will say they operate a “no spray” farm but cannot receive the USDA organic label because it’s too costly for small farms. This doesn’t necessarily mean these local farmers are growing organic produce, but it may be a good option when organic produce is not available. Local goes hand in hand with fresh. Most farmers must pick foods before they are ripe to allow for transit time from a farm to a grocery store, and then from a grocery store to your home. Local farmers can allow their fruits and vegetables to ripen longer or even fully ripen, which also adds to nutrition. Buying fresh produce from your local farmer’s market means getting fresh produce at its peak state and making healthy eating the easier choice. As the weather changes, so does the fresh produce that’s available. Through the magic of modern food economy, there are plenty of foods you can eat year-round. But that doesn’t mean that you should be eating them. Seasons vary in different parts of the world and even in different regions in the same country. However, all plants go through a similar life cycle: sprouting, leafing, flowering, fruiting and then stockpiling sugars into the roots. Leafy greens are best in the spring, the “flowers” and “fruits” of vegetables are best in the summer, and root vegetables are most suitable for fall and winter. There’s a reason you want juicy watermelon in the summer and crave the heartiness of butternut squash in the fall. This is when these foods are at their peak, bursting with nutrients and flavor. Crispy, fragrant, juicy, and colorful. So let the natural backdrop of spring, summer, fall and winter be your guide. Variety is the spice of life and one of the cornerstones of healthy eating. The more variety in your diet, the most likely you’re to eat a balance diet. Not all foods are equally nutritious, and even foods that are good for you are probably missing a few nutrients. That’s why rice shouldn’t be your only grain. Just as lettuce shouldn’t be your only green vegetable. There’s nothing wrong with liking the food you like, but it doesn’t hurt to get a little more variety in. When you eat a variety of foods you’re more likely to get all the essential nutrients you need every day. Another reason to eat a variety of foods is to get plenty of healthy things to balance out the not-so-good choices. Let’s face it, very few people eat a diet made up of 100 percent totally nutritious foods. And that’s okay. So if you eat a chocolate chip cookie as a snack in the afternoon, balance it out by eating a nutritious dinner in the evening. Eat your vegetables! You might have dreaded these words growing up, but they will literally save your life if you live by them. Vegetables contain most of the macronutrients, vitamins, minerals, phytonutrients, fiber, and water your body needs to thrive. Strive to make vegetables at least 50% of your daily food intake. Your primary focus should be on non-starchy vegetables (think beets, broccoli, cabbage, carrots, cauliflower, celery, cucumber, eggplant, leafy greens, peppers, tomatoes, zucchini, etc. 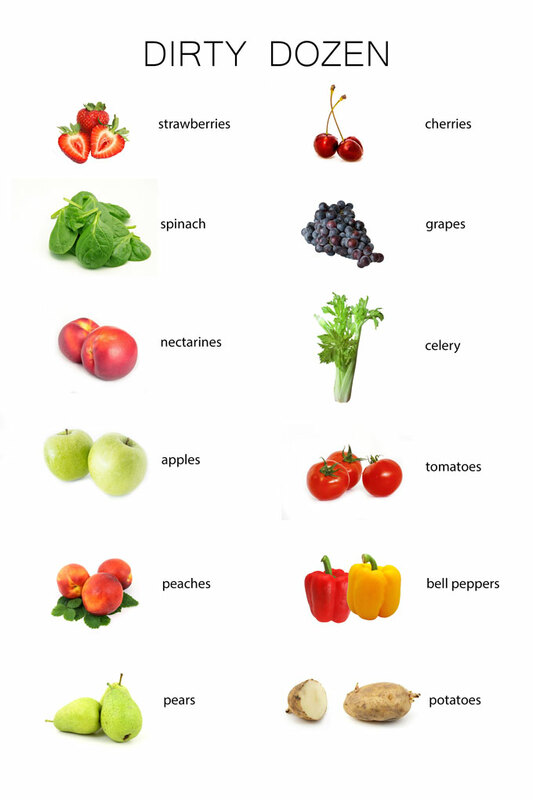 ), which contain more nutrients and water. Starchy vegetables (such as potatoes, sweet potatoes, squashes, peas, and corn) are high-quality carbohydrates rich in vitamins, minerals, and fiber, but also high in calories and lower in water. Try to consume as many different kinds of vegetables as possible, paying particular attention to their color. Different colors mean different nutrients. And remember – your diet can always use more veggies. Picture a dinner plate and divide it in half. Fill one half with non-starchy vegetables, preferably raw or lightly steamed. Divide the other half of your plate into two quarters. Fill one quarter with protein, and the other quarter with whole grains or starchy vegetables. If you focus on making most of your meals look this way, you’ll automatically be following healthy eating guidelines and choosing appropriate portions without having to pull out a calorie counter or a measuring cup every time. However, if your digestion isn’t strong, you might consider only combining foods with compatible energies. In that case, you would fill half of your plate non-starchy vegetables, and the other half with starch OR protein. Eat fruit on an empty stomach – not only is fruit one of the fastest foods to digest, but its acidity levels interfere with how other foods are being digested, which can cause fermentation in your stomach. Don’t combine protein with starches – protein and starches need different digestive enzymes (starches require an alkaline environment, while most proteins require acidic). When you combine protein and starch, the two digestive enzymes essentially cancel each other out, causing fermentation in your stomach. Combine non-starchy vegetables with anything – you can eat non-starchy vegetables with protein OR starches. Non-starchy vegetables are the ultimate low-residue food that combines well with everything. If you find that some specific food combinations are more problematic for you than others, work on changing just those in the beginning. The most important step towards healthy eating is to become aware of your needs. From there, you can develop an approach to food combining that works for you. There isn’t one diet that’s perfect for every single person. Nutrition is an ongoing journey that is ever changing. Healthy eating isn’t about following diets or slapping labels on yourself. Healthy eating is about listening to your body and adapting the diet according to your nutritional needs. There’s no preordained across-the-board right. Just what’s right for you. I believe that everyone can benefit from a fresher and greener diet. But that doesn’t mean you have to eat exactly how I eat. Your body is unique and the most important thing is that you eat food that makes you feel alive. If a certain food makes you feel sick, it’s not for you. It’s ok to experiment with different diets, try out new foods, test new supplements, and see if they work for you. Listen to many voices and choose those that seem to resonate the most closely with you. Wow, I found you about an hour ago on Youtube while searching for a “How to temper chocolate” recipe and now I’m on the blog and really enjoying your down-to-earth, genuine approach… Congrats on both your platforms! I’m finally taking my blog seriously and will be coming back for inspiration for sure. Thank you! Thank you so much for such a kind comment, Giselle! I am glad you’re enjoying my blog. People like you is what makes me keep going 🙂 I wanted to check out your blog (and find out where you live) but the spam protection on my computer doesn’t allow me to enter you site. Hmmmmm. I live in Nanaimo (Canada). A really nice article on healthy eating principles. I will definitely look into this. Adopting a balanced diet not only helps with weight loss but also boosts your health. Thanks for sharing this wonderful experience, Keep up the great work. Writings are just awesome which touched to my hear.. Its actually an emotional engagement with mind & heart. Thanks for sharing such a lovely blog.